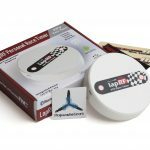 LiPo batteries are great for flying, but if you don’t treat them well you’ll reduce their performance and lifetime. How long can I fly? When is the best time to land? Here’s how to reliably monitor your batteries to get the most from them while avoiding long-term problems. Despite what you might think by looking at your phone, remaining capacity can’t be directly measured. Any device with a battery life meter is only estimating the remaining capacity. We have to do the same when we fly. 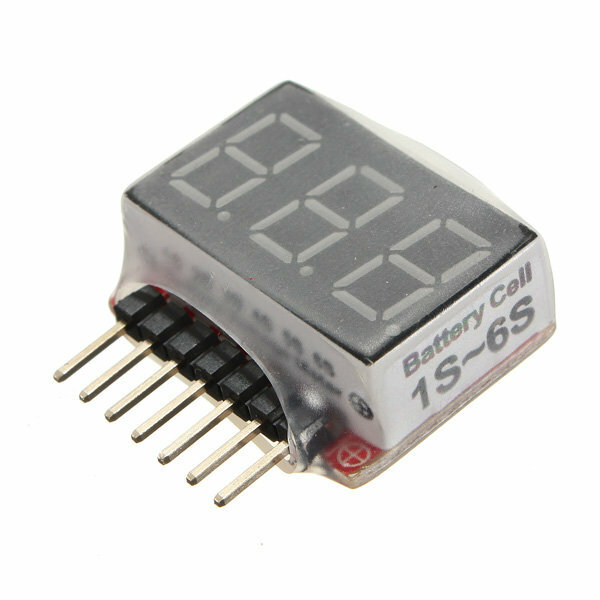 These extremely inexpensive voltage meters plug into your battery balance lead. 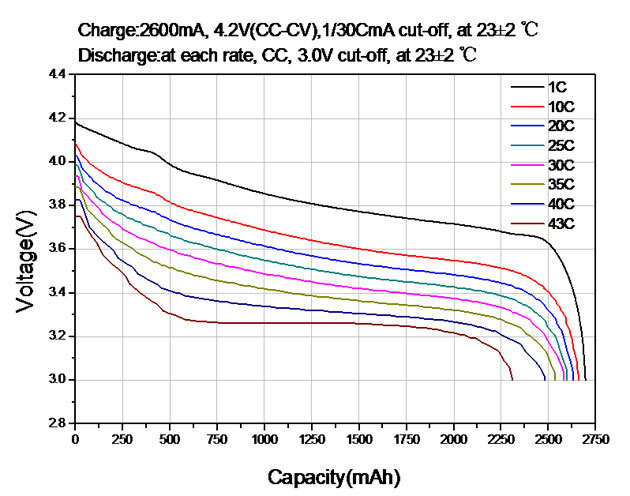 Most devices estimate remaining battery capacity based on voltage. Voltage is a measure of potential, though; it doesn’t describe any amount of energy. This works because the potential that a battery can deliver declines as the battery’s energy is used. If a device knows what kind of battery is being used, it can guess the capacity using a simple look-up table: X voltage = Y capacity. 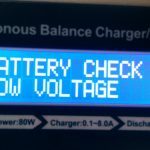 If you’ve ever put in a different kind of battery than a device expects, such as rechargeable AAs, you can see this in action when the battery meter doesn’t quite work right. The device is using a look-up table for Alkaline batteries, which don’t exactly match rechargeables. A second reason voltage monitoring is so common is that voltage is easy to measure. Even very small microcontrollers can read voltage, so it’s inexpensive to include as a feature. (It’s more expensive to display the reading to the user than it is to do the measurement!) 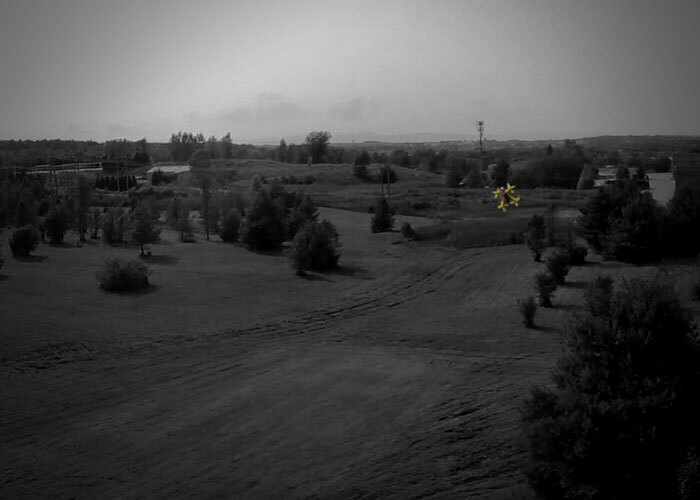 Common components that measure voltage on a quad are cameras with built-in OSD, flight controllers, sensors that plug into a telemetry-enabled receiver, or stand-alone components. The stand-alone “battery buzzers” typically alarm when a preset voltage is reached and can be had for only a few dollars, but if the craft is too far away you might not be able to hear them. This 10-second graph of voltage over time is completely normal for a race or acro quad flight. The measured voltage is extremely variable. The biggest problem with voltage monitoring for a quadcopter is that battery voltage also drops under load. Phones and radio transmitters have a fairly consistent discharge rate, so they can compensate for the load in their look-up table. RC models, and quadcopters in particular, pull an extremely variable load from the battery. If you punch out, it’s not uncommon for your voltage to drop several volts as you draw a huge amount of current from the battery. Flying fast and taking hard turns will give you a much lower voltage reading than hovering in place. Shut off your motors and you’ll read a higher voltage again. Racing and acrobatic flight involves a lot of sudden changes in throttle, making voltage really hard to read and understand until you develop a feel for it. Adding to the mix is the quad’s stabilization routines, which make a lot of sudden changes in speed at each motor and affect current draw. Another extremely common solution is to start a timer and land after a specific amount of flight time. The advantage is obvious; all you need to do this is a watch or phone. 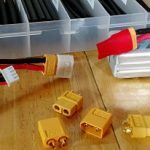 It may not even be possible to install a battery sensor on certain models such as micro quads. To use a timer effectively, estimate the amount of flight time that will bring your battery to the level you want. Making an informed estimate takes time and you’ll need to review flight data constantly to make sure your estimate is correct—your flight style and your batteries change over time, and your estimate needs to change with it. Using a timer is highly reliant on your skill to accurately estimate your flight. If you fly more or less aggressively than you intended when you set your timer, you’ll over- or under-use your battery. Each battery you have might need a different estimate with each aircraft, because the available capacity differs and aircraft use up the power at different rates. All four methods in this article can be transmitted to the radio via telemetry and alarms can be set from there. Here, T2 is total flight time and T1 is the “Throttle %” timer. 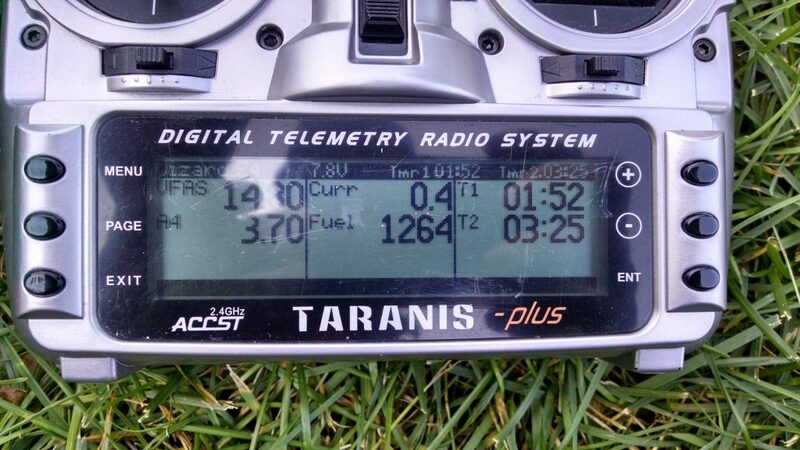 Some radios, such as the Taranis, offer a timer that counts up at a fraction of real time equal to the current fraction of throttle in use. To put simply: the timer runs slowly when you fly slowly, and the timer runs fast when you fly fast. This mitigates the largest problem of the basic timer not following your flight style, and is the preferred method on micro quads with no monitoring capability at all. You still need to estimate your flight and verify your estimates with data, which may be different for each battery in each model. The PowerOSD provides a current sensor and OSD to view its readout. You can see the mAh reading at bottom right. We’ve also reviewed the DYS F4 Pro and F4 Flame flight controllers which both provide these features. 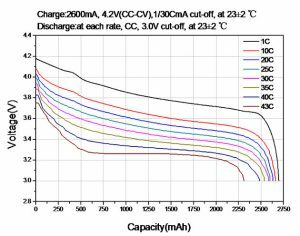 The most accurate method to estimate capacity is to measure the amount of energy that has been drawn from the battery. A current sensor facilitates this. The sensor alone measures how much current is being drawn out, and a small computer can keep a running total. Measuring current directly isolates you from many other factors; there is no guesswork in how you should interpret the reading, regardless of the quad being under different amounts of load from flight style, model weight, or even environmental conditions. Remember that you’re still not measuring capacity. The measurement always counts up from zero. You need to know the capacity of the battery so you can decide when to land. If you connect a partially charged battery, the reading won’t start from wherever the battery left off—so if you don’t already know how much has been drawn out, you can’t use the reading to understand how much power remains. Finally, current sensors can be challenging to calibrate so they give an accurate reading—but that’s a one-time problem. One more issue to complicate things: capacity actually changes when you discharge at different rates. When you push the battery harder, you get less capacity out of it. Take a look at this graph of a 2600mAh battery. This battery might actually supply nearly 2700mAh at 1C, but less than 2500mAh above 40C. That’s a difference of almost 10%. Following the “80% rule” would have you landing when you reach 2100mAh, though. That’s a safe value for each of the discharge tests here. It’s often quoted that a pack should not be used past 80% of its capacity. There’s nothing special about 80%, specifically, but you can see in the graph above where the guideline might have come from. You’re generally safe up to this point no matter what you’re doing with the battery. There’s always discussion to be found around whether the “80% rule” is worthwhile. We think it is still a good general guideline. It’s true that it doesn’t account for many variances like discharge rate and pack temperature. 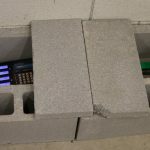 It’s certainly possible to safely pull more power from a battery if you have a sophisticated monitoring system, and it’s also possible that you may damage older packs sooner than 80% if their temperature is rising. Not using the entire capacity simply gives you a little less flight time, and if the temperature is rising too much before you hit 80% it’s probably time to retire that particular battery anyway.